The Ministry of Health and Family Welfare issued guidelines on the Zika virus disease, here today. The text of the guidelines is as follows. World Health Organization has declared Zika virus disease to be a Public Health Emergency of International Concern (PHEIC) on 1st February, 2016. · Integrated Disease Surveillance Programme (IDSP) through its community and hospital based data gathering mechanism would track clustering of acute febrile illness and seek primary case, if any, among those who travelled to areas with ongoing transmission in the 2 weeks preceding the onset of illness. · IDSP would also advise its State and District level units to look for clustering of cases of microcephaly among newborns and reporting of Gullian Barre Syndrome. · The Maternal and Child Health Division (under NHM) would also advise its field units to look for clustering of cases of microcephaly among new borns. · All the International Airports / Ports will display billboards/ signage providing information to travelers on Zika virus disease and to report to Custom authorities if they are returning from affected countries and suffering from febrile illness. · The Airport / Port Health Organization (APHO / PHO) would have quarantine / isolation facility in identified Airports. · The APHOs shall circulate guidelines for aircraft disinsection (as per International Health Regulations) to all the international airlines and monitor appropriate vector control measures with the assistance from NVBDCP in airport premises and in the defined perimeter. · Rapid Response Teams (RRTs) shall be activated at Central and State surveillance units. Each team would comprise an epidemiologist / public health specialist, microbiologist and a medical / paediatric specialist and other experts (entomologist etc) to travel at short notice to investigate suspected outbreak. · National Centre for Disease Control (NCDC), Delhi would be the nodal agency for investigation of outbreak in any part of the country. · NCDC, Delhi and National Institute of Virology (NIV), Pune, have the capacity to provide laboratory diagnosis of Zika virus disease in acute febrile stage. These two institutions would be the apex laboratories to support the outbreak investigation and for confirmation of laboratory diagnosis. Ten additional laboratories would be strengthened by ICMR to expand the scope of laboratory diagnosis. · RT- PCR test would remain the standard test. As of now there is no commercially available test for Zika virus disease. Serological tests are not recommended. 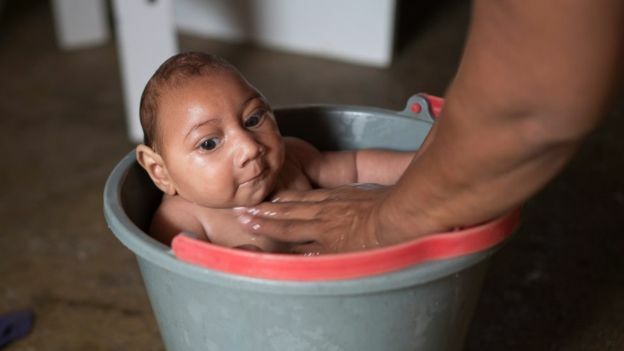 · The States/ UT Administrations would create increased awareness among clinicians including obstetricians, paediatricians and neurologists about Zika virus disease and its possible link with adverse pregnancy outcome (foetal loss, microcephaly etc). There should be enhanced vigilance to take note of travel history to the affected countries in the preceding two weeks. · The public needs to be reassured that there is no cause for undue concern. The Central/ State Government shall take all necessary steps to address the challenge of this infection working closely with technical institutions, professionals and global health partners. · There would be enhanced integrated vector management. The measures undertaken for control of dengue/ dengue hemorrhagic fever will be further augmented. The guidelines for the integrated vector control will stress on vector surveillance (both for adult and larvae), vector management through environmental modification/ manipulation; personal protection, biological and chemical control at household, community and institutional levels. Details are at Annexure-I. · States where dengue transmission is going on currently due to conducive weather conditions (Kerala, Tamil Nadu etc) should ensure extra vigil. · Non-essential travel to the affected countries to be deferred/ cancelled2. · All travelers to the affected countries/ areas should strictly follow individual protective measures, especially during day time, to prevent mosquito bites (use of mosquito repellant cream, electronic mosquito repellants, use of bed nets, and dress that appropriately covers most of the body parts). · Persons with co-morbid conditions (diabetes, hypertension, chronic respiratory illness, Immune disorders etc) should seek advice from the nearest health facility, prior to travel to an affected country. · Ministry of Health &FW / State Health Departments would work closely with Non-Governmental organizations such as Indian / State Medical Associations, Professional bodies etc to sensitize clinicians both in Government and private sector about Zika virus disease. · National Centre for Disease Control, Delhi, the Focal Point for International Health Regulations (IHR), would seek/ share information with the IHR focal points of the affected countries and be in constant touch with World Health Organization for updates on the evolving epidemic. · Indian Council of Medical Research would identify the research priorities and take appropriate action. · The situation would be monitored by the Joint Monitoring group under Director General of Health Services on regular basis. The guidelines will be updated from time to time as the emerging situation demands.